I was born and raised in the small town of Angels Camp, California and enjoyed painting since childhood. The foothills of the Sierras were filled with painting opportunities to learn oils, water color, and charcoal while attending Columbia Junior College in Sonora, California. 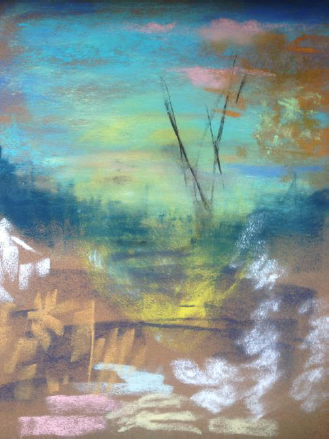 Living in the western slope of Colorado for 37 years has brought as many medium options but my passion is pastels. After my first workshop learning to paint with pastels I was hooked. This medium allows me to express my love for color in a variety of subjects. I paint portraits, landscapes, animals and still life, my favorite being landscapes. In whatever medium I paint my goal is to reproduce God’s beauty in nature onto paper or canvas so as to bring that representation into a home or workplace. Sean Dye, and Master Pastelist Richard McDaniels, Doug Dawson, and Albert Handell.